Add an in-wall VGA port, for neat, professional quality video installations. 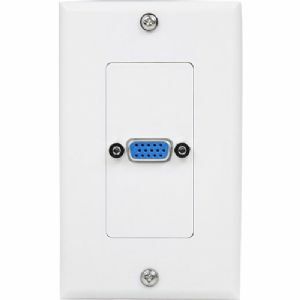 This professional-grade VGA wall plate offers an in-wall VGA video receptacle that provides easy connections between a computer VGA video output and VGA-equipped projectors or remote displays. The VGAPLATE VGA wall plate is backed by our Lifetime Warranty.